Bayern Munich will welcome Liverpool for the second leg of the Uefa Champions League round of 16. The first leg ended in a stalemate at Anfield, but by shutting down Bayern, Liverpool know that an away goal will mean that Bayern will then have to score 2. The first leg of the tie was a hard-fought battle between the two sides with Liverpool having better opportunities to score. Sadio Mane missed some great chances to score and will be looking to made amends this time around. Jurgen Klopp will be looking to beat his former foe at their own turf. The ex-Borussia Dortmund manager's record against Bayern is not a stellar one. He has managed a total 30 games against Bayern, winning 8, losing 16 and drawing 6 times. He will be looking to get one over Bayern for the Champions League final loss in the 2012/13 season when he was managing Borussia Dortmund. Bayern Munich didn't start the season particularly well and found themselves 7 points behind league leaders and arch-rivals Borussia Dortmund back in December. When the draw was made back in December, Liverpool were favourites to win the tie considering their spectacular form and also the fact that Bayern was struggling for form. But now, Bayern is top of the Bundesliga on goal difference and have won their last 5 games in a row in the Bundesliga. After that stalemate at Anfield, Bayern is favourite to qualify for the quarter-finals for the 8th consecutive year on their home turf. Liverpool, on the other hand, has lost their top spot in the league to Manchester City, who are 1 point ahead of the Merseyside Reds. They have drawn 3 of their last 5 games and they do not look like the same side they were at the start of the season. The front-three do not look sharp enough and have had trouble cutting through defences lately. They will be going to one of the toughest stadiums in Europe and try to win the match against one of the best teams in the world. Bayern Munich will be without suspended Thomas Mueller and Joshua Kimmich for the match, while Arjen Robben (calf) and Corentin Tolisso (knee) are out injured. Jerome Boateng was the part of the starting line-up that won 6-0 against Wolfsburg on Saturday and is expected to keep his place. Kingsley Coman is an injury doubt and veteran Frank Ribery is expected to replace him in the starting-11. Rafinha is expected to replace the suspended Joshua Kimmich at right-back. Rafinha has played as a left-back for Bayern in recent domestic games but will shift to the right to replace the suspended Kimmich. 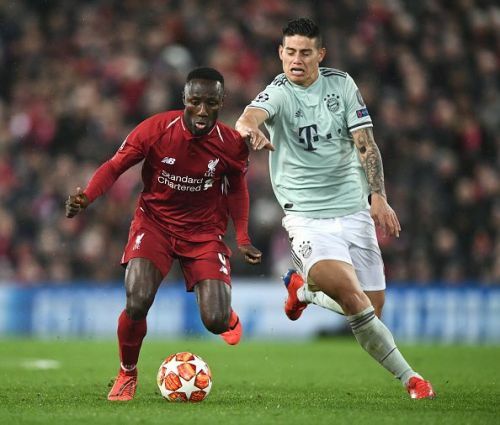 Naby Keita did not travel with the squad and is expected to miss the game. Trent Alexander-Arnold trained with the side after he was withdrawn in the later stages of the last weekend's 4-2 win over Burnley. 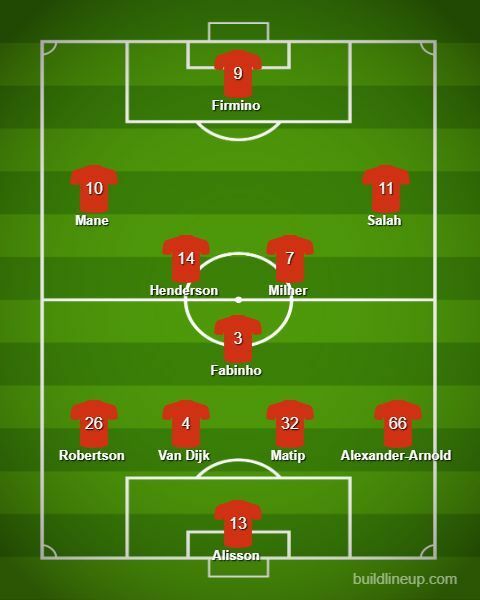 James Milner is expected to replace Gini Wijnaldum in midfield to give Jurgen Klopp's side some energy and tenacity in midfield.